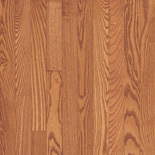 Walk On Wood carries the finest in Prefinished Hardwood Flooring. 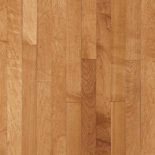 Diamante 75 Year Diamond Kote Wood Flooring, offered exclusively by WOW, has the longest finish warranty in the industry. WOW inventories a huge selection of prefinished wood flooring to insure you will find just the right finish, color, species and brand to meet your needs. Including: Santos Mahogany, Brazilian Cherry, White Oak, Teak, Kempas, Red Oak, Ipe, Wenge, Curmaru, Sapele, Antique, Hand Scraped, Australian Cypress, Tiger, Ash, Beech, Birch, Tigerwood, Cherry, Kulim, Mirage, Model, Mullican, Bruce, Anderson, Mirage, Harris Tarkett, Harris-Tarkett, Eterna, Lauzon, Tembec, Acer, Pergo, Kahrs, Robbins, Mannington, Appalachian, Noble House, Vintage, Robbins, Award, BR111, Junckers, Mohawk, Hartco, Somerset, Muskoka, Mercier, Hawa, Anderson and many more. Stop in today!